In less than a month, the first-of-its-kind Faster2First Player Showcase (F2F) will take place. Starting Friday evening December 9 and wrapping up Sunday, December 11, the event will focus on helping promising young players learn what they do well and where they need to improve. Held in Myrtle Beach, South Carolina, players in the 12U, 14U, and 16U can register for F2F at the event's website: Faster2First.com. In the softball world there are camps and clinics held literally every weekend. And that's great… many offer cool ways for a player to improve your game. 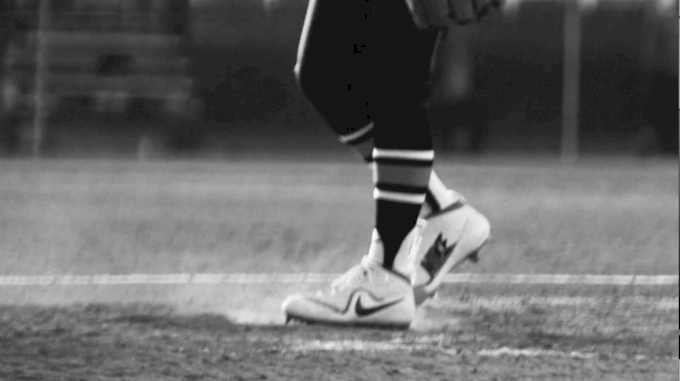 But we at FloSoftball have never seen one offer the full package F2F presents: athletic testing to see where you're at, development insights to see where you can improve, and competition to put it all into practice. Let's put it this way: This weekend will have it all--from testing to development, classroom instruction to competitive games--the key is there will be detailed analysis on where YOU the player are and need to be. There will be high-tech instruction at a level never seen before in one weekend. Saturday: Testing, analysis, development and evaluation followed by all-star competition. Sunday: Team games where athletes will show off what they've learned. You as a player will walk away with a better understand of where you are now… and where you need to be, but most importantly, how to get there in your training! And know this: The data recorded and the videos shot will be made available to college coaches so F2F has the exposure part covered too. If you want to play in a major conference such as the SEC, then you need to see what a future SEC player looks like, plays like, and how she does it so you can learn how to do it too. 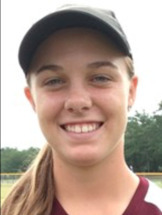 We're excited about the caliber of players already confirmed to attend F2F next month including several 2020 Hot 100 honorees such as 1B/OF Avery Goelz of the Tamp Mustangs-TJ team, who is committed to the University of Florida, and SS Riley Blampied (pictured) of Georgia Impact-Newland, who has verballed to the University of Alabama. These players are both ranked in the top 10 in the 2020 Hot 100, and we expect about a dozen Hot 100 players from the freshman class to be in Myrtle Beach. There will be elite players coming from as far away as New Jersey, Texas, and Florida to improve their play, and it's expected athletes from as many as 15 states will take the fields. F2F is about being the best YOU can be. A bonus is you'll get to rub elbows with top players in your class… and hopefully learn how to soon be up there with them! FloSoftball travels to tournaments, nationals, camps and games all over the country to evaluate talent. This is a great event to see talent measured. We're excited to see how elite players are improving and what unknown greats are out there ready to be discovered. There are 14U and 12U all-star games, and the talent in each will be awesome. Let's just throw one teaser out: In the younger all-star game, there will be a 6-foot-2 pitcher taking the circle! How good is she? We'll soon find out! Every day players, parents, and coaches reach out to FloSoftball to alert us about a promising prospect. There will be no better way to get considered for future Hot 100 recognition than to come out, work out, and say hi to us! 4. It's December… What ELSE Are You Doing? Wow, it's a busy year, and you've done everything you can to shine individually and make your team better. You've been all over the country, and it's time to shut it down. The bulk of club ball is over now and many--if not most--teams are all but done but YOU aren't. December 9-11 is for players to cap the year off finding out what makes you good now and potentially great in the near future. You have the chance to be with your peers learning about everything from nutrition to mental conditioning to video analysis of your game. 5. Great Holiday Gift Idea! Ahh, so you have everything you want and need this year--well, maybe a new bat or glove, sure, would be nice-- but that's soooooo last Christmas or Hanukkah. THIS year, tell your parents what their favorite softball player really wants--a trip to South Carolina next month. Put a nice bow around your favorite present this year by getting a weekend that's all about you having fun, learning how to improve your game, and spending some quality time with your friends and peers on the field--where you most love to be. 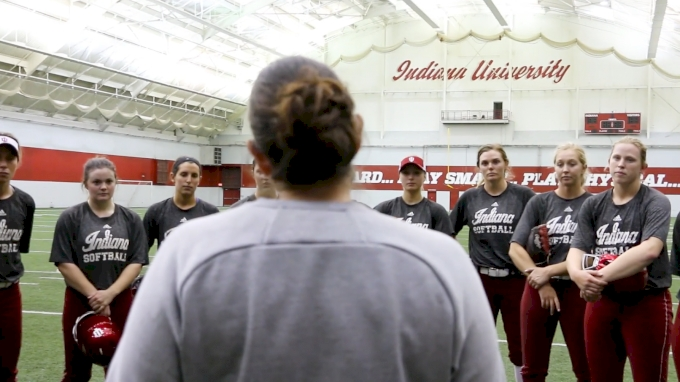 Listen: softball is your passion, your job, your exhilaration, your favorite activity in the world right now… wouldn't you like to be doing MORE of it in an exciting, but beneficial, way? We have about six more weeks (or less) of shopping, so make it easy on Santa and/or your parents. Let them know you already have your top gift idea figured out. We'll see you in four weeks… and it Will. Be. Awesome. For more info and to register for F2F, go to Faster2First.com. Questions can be sent to brentt.eads@flosports.tv as well.